As we approach the first day of Spring (March 20) and the upcoming HOT spring and summer markets, availability of homes in certain price ranges of the 2018 Lassiter High School Home Inventory is very low! This low supply makes it difficult for buyers especially if they are not well prepared and working with an East Cobb market expert, and it has also caused prices to steadily increase to 6% above 2017 prices. Call us or click for a free market analysis if you’re planning to sell your home in 2018, and learn about our outstanding marketing plan and exceptional seller results in East Cobb – a 96% list to sell ratio, while setting many top 5 and neighborhood price records. Through a combination of creativity, superior marketing, and advanced qualifications versus the typical agent, we have bested small and large brokerages alike, in both good and bad markets, and our proven track record of getting home sold, and sold for more money, is consistent over an amazing 18 year period! *Many Other Price Ranges Are Strong Buyers Markets – Call Us If You’re A Buyer! 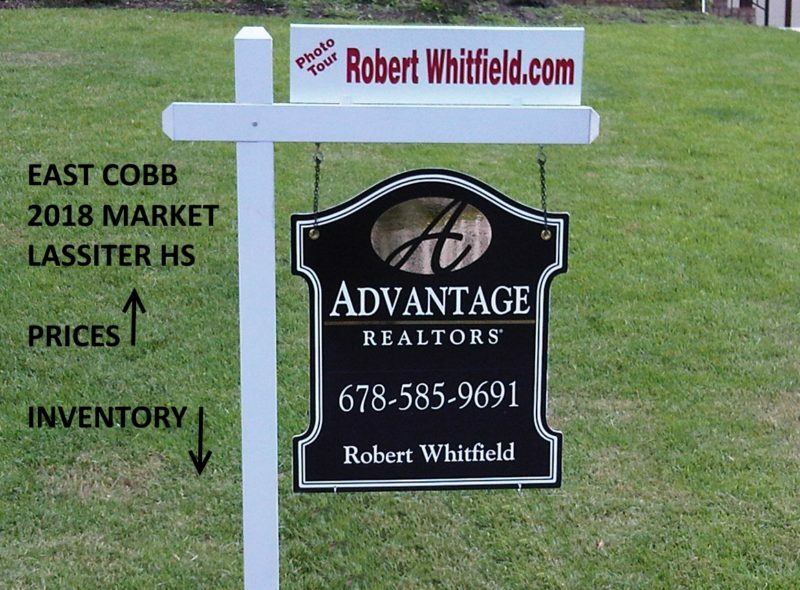 This entry was posted in Real Estate Blog and tagged 2018 Lassiter High Home Inventory, Lassiter High School Real Estate Market by admin. Bookmark the permalink.